All Shorty Smog Headers bolt on quickly and easily to the factory Y-pipe, retaining all stock emissions equipment, and offering maximum horsepower gains plus increased efficiency. For trucks only. 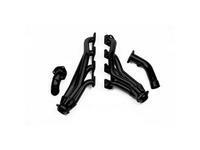 Flow Tech 91830FLT Shorty Smog Headers for 1988-1995 Chevy Truck 305,350. 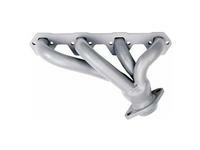 Flow Tech 91940FLT Shorty Smog Headers for 1992-1995 Dodge Truck 318,360.